At the first public hearing in Aurora Wednesday, on Minnesota's Iron Range, PolyMet enjoyed near unanimous support. But Thursday night in Duluth was a different story. There were lots of PolyMet supporters in blue T-shirts and hats. But this time opponents of the project, waving orange bandannas, dominated the comment period. "We believe this process has failed in fundamental ways, especially with respect to downstream communities," said J.T. Haines with the group Duluth for Clean Water. "If this goes forward I believe we will have sold Minnesota to the lowest bidder, and nothing will ever be the same again. We need a better option." Duluth is located about 60 miles south of where PolyMet would be built, near Babbitt and Hoyt Lakes. It's also downstream of the proposed mine. Opponents of PolyMet say if there's a major accident at the mine — for example if a waste dam failed, like what happened at a Canadian mine called Mount Polley four years ago — then pollution could flow through the St. Louis River to Lake Superior. "The draft PolyMet permit to mine does not protect the public interest. It puts people downstream at risk, and it leaves taxpayers unprotected," said Duluth City Council Member Gary Anderson at a rally before the hearing. 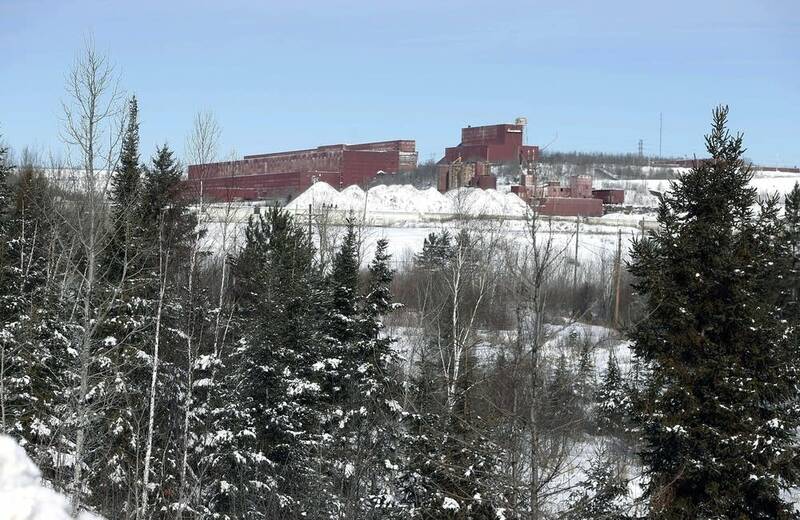 After more than 12 years of environmental review, PolyMet Mining has moved steadily closer to acquiring the permits it needs to open what would be the first ever copper-nickel mine in Minnesota. Last month the Minnesota Department of Natural Resources and Pollution Control Agency issued drafts of three key permits the company needs to eventually open its mine. While not final approval, the drafts suggest the state believes the mine, as proposed, can meet environmental standards. After a marathon public process that has included multiple drafts of environmental studies and tens of thousands of public comments, PolyMet still generates intense emotion — on both sides. That was on display in Duluth, whose economy is increasingly linked to tourism and outdoor recreation. Mining opponents say a new copper-nickel mine threatens that identity, because it carries with it new risks of water pollution more severe than taconite mining. But the city also shares an economic link to the Iron Range, argued Duluth Area Chamber of Commerce President David Ross. "We recognize how important this is not only to the Range, but to Duluth. We are an industrial port city. How well you do there has a direct impact on us here in Duluth, and that's why we are with this project," Ross said. "Those ships aren't coming in to see the tourists, the tourists are coming here because of the ships," joked St. Louis County Commissioner Tom Rukavina. And most of those ships are carrying taconite pellets from the mines on the Iron Range. Mining supporters were outnumbered in Duluth Thursday night in the crowd of around 800. But they were in a celebratory mood. Many even praised the DNR and Pollution Control Agency for issuing draft permits last month — agencies the mining industry has often found itself at odds with. But the agencies stress no final decisions have been made, and say they are still on the lookout for new issues or angles of analysis they have failed to consider. Opponents are making sure their voices are heard during this final public comment period. Many are asking the state to call for what's known as a contested case hearing before an administrative law judge before making final permit decisions. "This is a forested, swampy, stream-laden landscape. An ill-suited place for Minnesota to experiment with the risky business of copper mining," said Rich Staffon with the Duluth Chapter of the Izaak Walton League. Staffon said the draft permits fail to mandate the use of the best available technology to protect the state's water. But supporters say state regulators have concluded the mine can operate while also protecting the environment. State Senate Minority Leader Tom Bakk, DFL-Cook, who represents the district that includes the proposed PolyMet mine, welcomes a new kind of mining on the Iron Range. "Because it can be done, but it will not be done without some level of risk," Bakk said. "Because everything in life carries some risk."